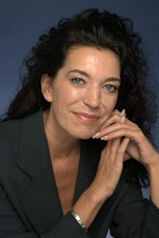 FRANCESCA KIMPTON is a highly respected English medium and healer whose reputation for accuracy has been demonstrated thousands of times to private clients and radio and television audiences around the world. She has been hailed as the best medium in the UK, and quickly developed her reputation for talent and integrity in the United States, where she now lives full time — in Los Angeles, when she's not "on the road." Francesca is now home in Los Angeles, California. Check Francesca's tour and events schedule often for information about new tour dates and new events. We update the site regularly, but the best ways for you to make sure you know when Francesca will be in your area are either to subscribe to her mailing list or to connect with her on Facebook.